Ship Happens provides players with the opportunity to practice safely intervening in situations where sexual and relationship violence and stalking are occurring, have the potential to occur and provide support in the aftermath of violence. The game depicts a fantastical world that is different enough from our own to be engaging and immersive, but similar enough to our own world to allow transfer from the skills practiced in-game to real-world intervention. Our tellurian hero Zayke and his best gelatinous buddy Balthazar experience college life on other planets as they are sent on a whirlwind adventure through the galaxy. 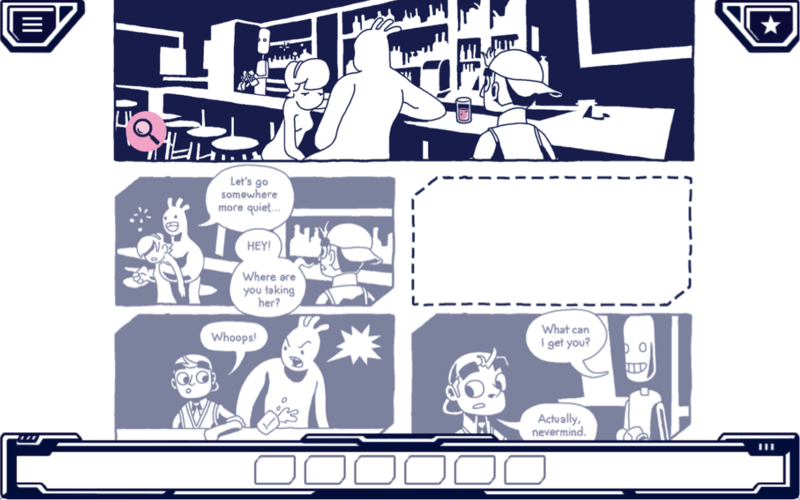 Ship Happens is a wacky, fun and challenging interactive, narrative game that takes place in the form of a comic book. Players click from panel to panel in order to progress through the story, while finding hidden items to solve the various puzzles and problems that they face in each chapter. 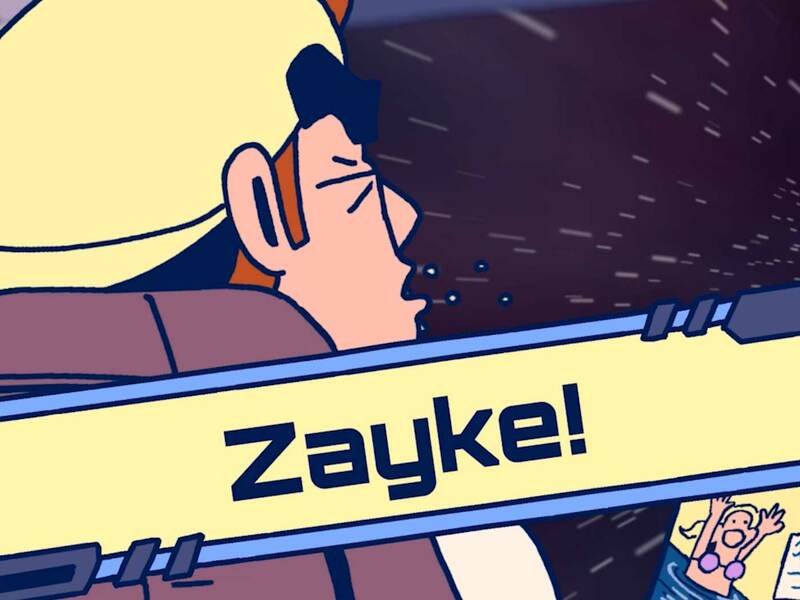 During their adventures with Zayke, Ship Happens’ players encounter scenes of sexual harassment and violence. When exposed to these troubling scenarios, players are presented with choices for how to respond to the situation. By dragging panels with dialogue or actions that they wish to see Zayke use into empty frames, players can change the course of the game to better suit their style of problem-solving to deter potentially dangerous situations or assist victims with empathy and support in the aftermath of an assault. 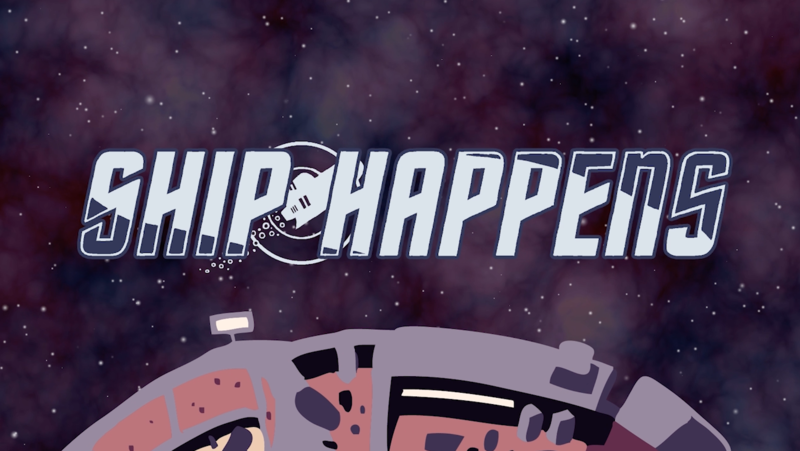 Filled with plenty of humorous tasks and objectives to complete, Ship Happens will certainly keep players engaged through time and space and help them learn to safely intervene in situations and change the outcomes! This project was developed jointly by researchers at the University of New Hampshire Prevention Innovations Research Center and Tiltfactor at Dartmouth College and supported by Award No. 2014-VA-CX-0012, awarded by the National Institute of Justice, Office of Justice Programs, U.S. Department of Justice. The opinions, findings and conclusions or recommendations expressed in this game are those of the authors and do not necessarily reflect those of the Department of Justice.